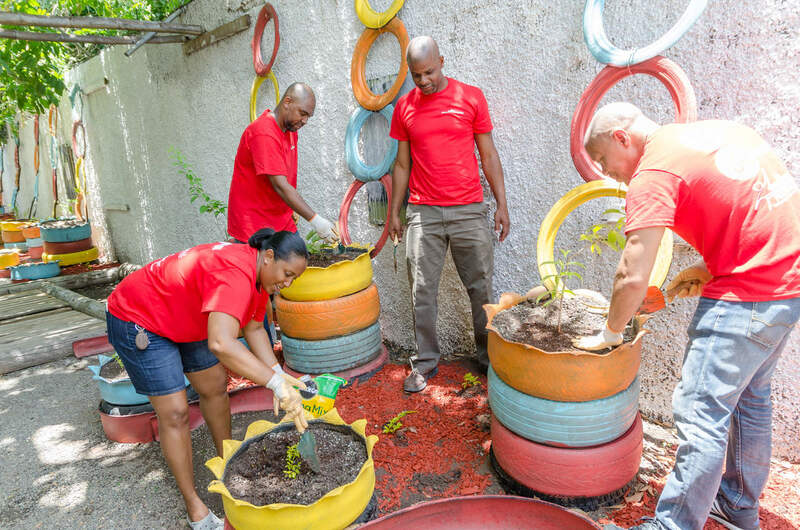 Andrew Leo-Rhynie (far right), General Manager of GK General Insurance; Tanketa Chance-Wilson, General Manager of Grace & Staff Community Development Foundation; and Steven Whittingham (second left), Managing Director of GK Capital Management; take part in planting activities at the newly erected peace garden in memory of a slain student at the Holy Family Infant & Primary School last Wednesday. The school’s principal, Christopher Wright, looks on. 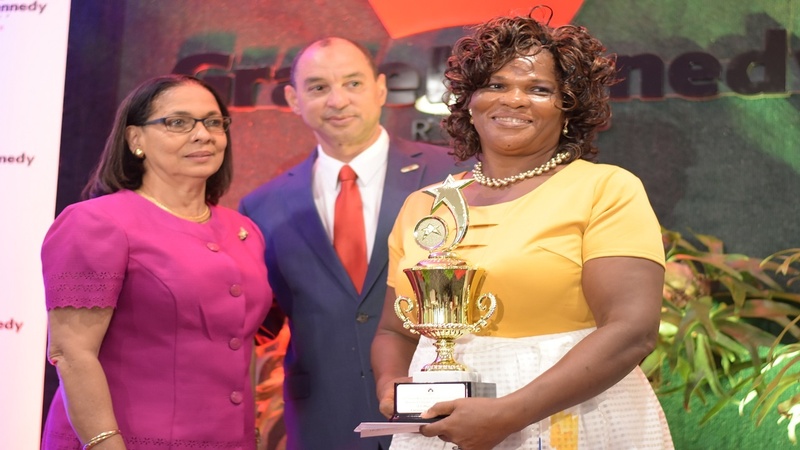 A year to the date that primary school student Taysha Hughes was slain in her community by gunmen, two subsidiary companies and one of the foundations under the GraceKennedy Group have come together to complete a peace garden in her memory at the Holy Family Infant and Primary School. The Grace & Staff Community Development Foundation, along with team members from GK General Insurance and GK Capital Management, converged at the school Hughes attended on Labour Day last Wednesday to assist with beautifying the Parade Gardens school and, more importantly, to take steps to create a serene and safe place for students and the neighbouring community. It was amidst the busy end-of-year school period last June, just after the conclusion of Grade Four Literacy and Numeracy tests and with pupils preparing for the following week’s annual graduation ceremony, that 11-year-old Hughes was shot and killed. To this end, the three entities felt compelled to offer assistance with improving the students’ learning environment by also upgrading the lunch area and the Grade Six block, and painting the perimeter wall. 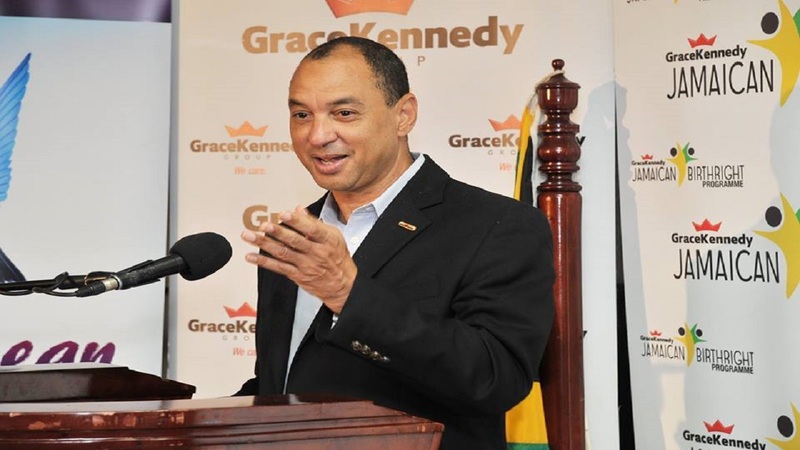 GK General Insurance's overall focus on early childhood development further underscored the need to assist. 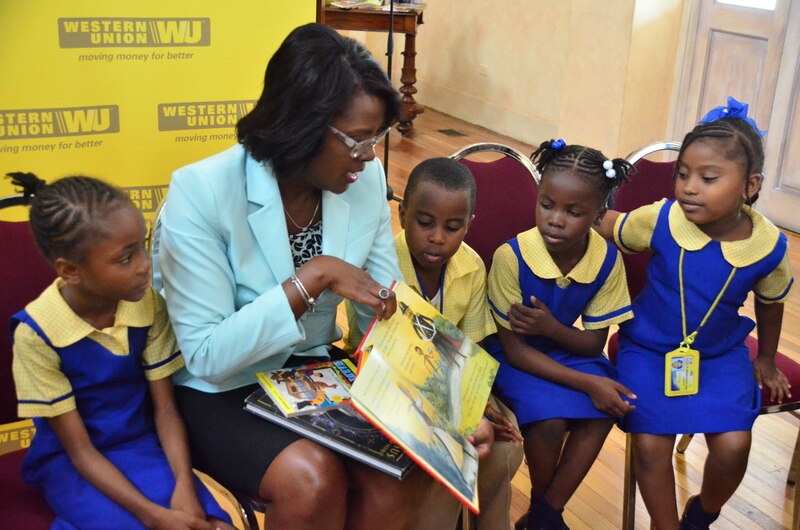 GK General Insurance's overall focus on early childhood development further underscored the need to assist. 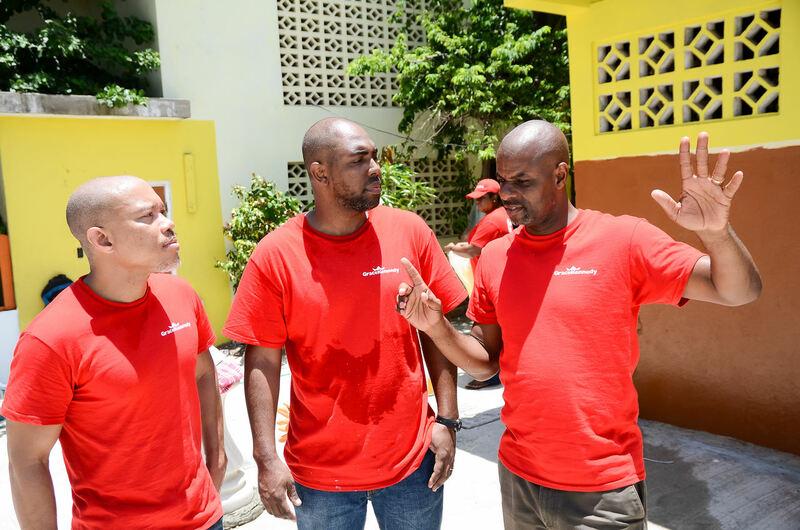 Andrew Leo-Rhynie (left), General Manager of GK General Insurance, and Steven Whittingham (centre), Managing Director of GK Capital Management, chat with Christopher Wright, principal of the Holy Family Infant & Primary School, at last Wednesday’s Labour Day project. 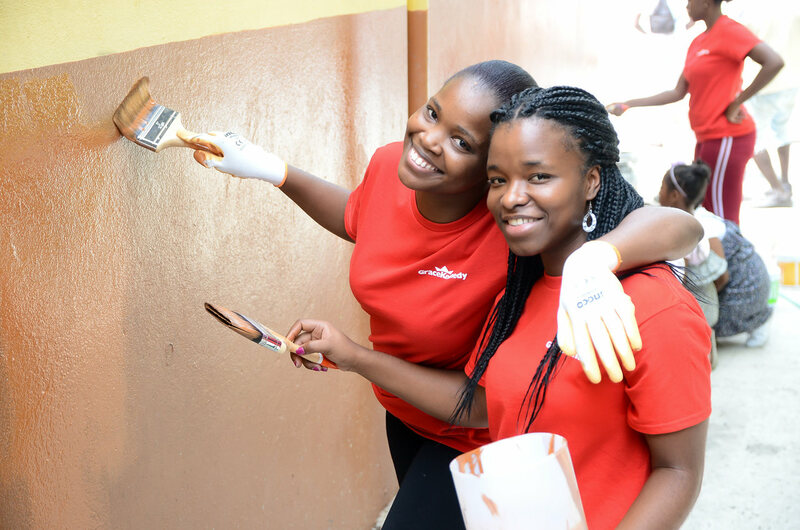 GraceKennedy staff members paint the perimeter walls as part of the beautification process at the Holy Family Infant & Primary School during last Wednesday’s Labour Day project.